Greenwich Market. In 1700 Greenwich Hospital received from Henry, Earl of Romney the right granted by King William III to hold a market at Greenwich. 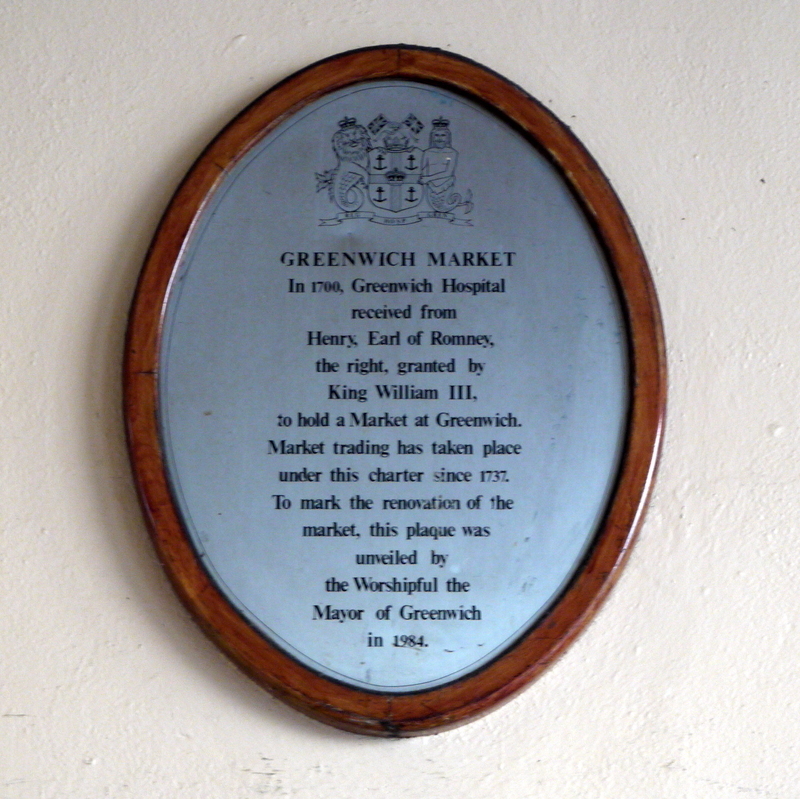 Market trading has taken place under this charter since 1737. 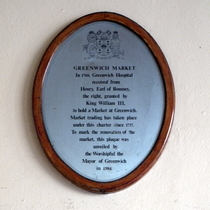 To mark the renovation of the market, this plaque was unveiled by the Worshipful the Mayor of Greenwich in 1984. Eliot lived in Russell Square, 1925 - 52.